In order to properly use social media, it is important to maintain a social media toolbox, complete with all of your social media tools readily available that you can refer to when creating social media strategies for businesses and individuals. Here is a list of social media tools that Christian Karasiewicz recommends. Twitter is a social media tool where things happen in real-time and it’s almost expected that you’re tweeting at a given moment. So what happens when you’re not going to be available and need to tweet? It’s time to schedule tweets! By scheduling tweets, you can be in two places at once. For example, you could be sending out tweets, while you are meeting with business partners or attending an event. When you schedule tweets, it isn’t a bad thing, provided it’s not something you are doing all of the time. Successful Twitter users schedule tweets for those times when they are not going to be available. When they are available, they take the time to respond in real-time to tweets and engage with their followers. If you plan to schedule tweets just so you can say that are on another network, I would reconsider why you are using Twitter to begin with. 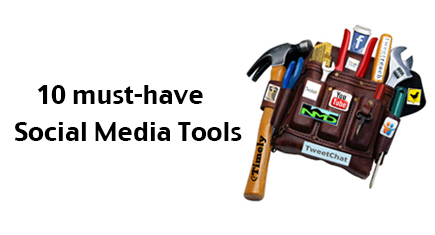 There are literally hundreds of tools you can use to schedule tweets. Today, we’re focusing on free services you can use to schedule tweets. What we’re focusing on today are Twitter tools that are free and have a good track record, meaning they won’t close up shop next week. Note: some of the tools we recommend to schedule tweets offer both a free and a paid version. Depending on how much you use Twitter and the features you want, such as analytics or being able to incorporate all of your social media channels into one tool. Remember, while there are hundreds of tools, we have selected our favorites. If you have another Twitter tool you use to schedule out tweets, please leave in the comments below. Earlier this week, Google announced that they were shutting down Google Reader. While this means the end of Google Reader, there are a number of Google Reader alternatives available to help you continue to consume your favorite web content. While I’m a little sad to see Google Reader shut down, I’ve been using a number of Google Reader alternatives for the past few months and I have to say, there’s a lot to like with them. What’s to like about these Google Reader alternatives? While Google Reader was a very convenient product, allowing you the opportunity to consume content from your favorite websites in one place, there’s a lot to like about the many Google Reader alternatives available. Here are just a few of the highlights. Feedly is by far the most popular one of these Google Reader alternatives. They offer a clean user interface, sync with Reeder and gReader, and will even recommend different content to you based on what you read. If you’re a visual person, then Flipboard is for you. The thing I love most about Flipboard is that they let you create your own magazines. Think of it like having different magazines based on different interests. In addition, they integrate nicely with your social media channels. This way you can read your content and see it – before you click through and if you want to, you can engage right there with it! To me, this is a huge timesaver for consuming your favorite news content on the web and on your social media channels. Don’t forget, Flipboard also offers a quality free app for your mobile device or tablet and a great web experience too! Definitely one of my favorite Google Reader alternatives. If you’re looking for an alternative to Google Reader that’s got a minimal look and feel to it, Newsblur is a good alternatives. Just like other aggregators, Newsblur features a clean and simple interface along with apps designed for your mobile device and tablet. If you’re deciding whether to go with Newsblur or any of these other Google Reader alternatives, I recommend trying it out. If you’re someone who prefers a more visual experience, there are other more suitable ones that I’ve listed (Feedly, Flipboard, Swaay). Overall, Newsblur gets the job done though and you will be happy using the tool. One of the alternatives to Google Reader that I’ve been testing out for a good while is Pulse. What attracted me to this tool is one, LinkedIn owns it. This means that hopefully they’ll integrate it with LinkedIn to make it easier to consume and share your favorite web content with you LinkedIn network. Like Flipboard, Pulse is also extremely visual. In addition to allowing you to view headlines from your favorite sites, their mobile app is top-notch. Overall, Pulse is near the top of my list of Google Reader alternatives, mainly because they’re backed by a large, successful company. But hey, look what happened to Google Reader. Swayy is a newcomer to Google Reader alternatives – and it’s still invitation only. While that’s one small detractor, they make up for it. For instance, you can integrate with your favorite social networks and add your favorite web content. Additionally, they give you analytics baed on what topics are trending. Also, they do a nice job breaking down the content that is recommended for you as seen in the above screenshot. As I mentioned, it’s invite only, but I do have a few invitations so if you want to try this one out, send me a message. Which of these Google Reader alternatives is right for me? While there’s no guarantee that these Google Reader alternatives will be around forever, it’s great to know that there are lots of great options. Once you decide on an alternative, don’t forget to add our blog to your favorite Google Reader alternative. Feedly – feature-packed, works with lots of other services. Flipboard – magazine-style news reader. Integrates nicely with social media accounts. Pulse – owned by LinkedIn, visual interface, what’s not to love? Swayy – invitation only, great trending tools to help identify content to share. Newsblur – nice interface, lacks visuals like other readers. Question: Which of these Google Reader alternatives do you plan to use? Let me know by leaving a comment here. Earlier this week, Wildfire, a social media marketing software for creating Facebook Page Apps and promotions made a huge announcement about the types of businesses they plan to support. They’re switching from small businesses to enterprise only ones. While this makes sense because of the direction they’re taking, it also rubs a lot of people the wrong way. If you’re someone who was considering using Wildfire, we’ve compiled 10 Wildfire alternatives for creating Facebook Page promotions. While this is great news for Wildfire because it will let them focus more on working with high-end businesses, it leaves a lot of businesses who don’t have $2,500 to spend per month on running Facebook Page app promotions left out. Fortunately, there are a lot of Wildfire alternatives that won’t cost you too much to use for your business. Let’s review a few of the Wildfire alternatives you should consider. Facebook 20 Percent Rule – Do You Measure Up? In early January, Facebook rolled out updates to cover photos, ads and images. No, they didn’t change the sizes of them again. Instead, they have implemented a Facebook 20 percent rule. What the Facebook 20 percent rule aims to do is control how much text you use on your Timeline cover photo, ads, and in images you want to promote. Before you start to panic though, remember, the Facebook 20 percent rule is there to help you…become a better marketer for your business on Facebook. How can the Facebook 20 percent rule help you? Continue reading Facebook 20 Percent Rule – Do You Measure Up?